At least nine players who appeared with the Dragons this summer will participate in the Fall Instructional League beginning later in the month. Those included will be pitchers Bailey, Camilo Vazquez and James Avery; catchers Reynoldo Gonzalez and John Purdom; infielder/outfielder Drew Anderson, outfielders Jeremiah Piepkorn and Cody Strait and shortstop Adam Rosales. Question: What is the main point of the Fall Instructional League? I know Kearns went last year to learn a new position. Is that the main point, changing position players or is it all players the organization feel could benefit from more work on a particular skill? 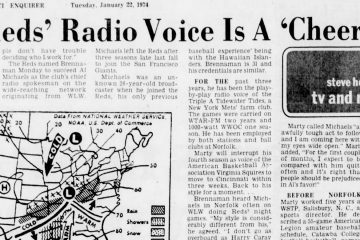 I've been a Reds fan since the late '60's, with my luck of being able to attend plenty of games at Riverfront during the BRM era. I was sitting in the Green Seats in the OF when Pete came home in '84 and was in the Red seats when Glenn Braggs reached over the fence in '90 to beat the Pirates. I have had many favorites from Jim Maloney to Johnny Bench, Barry Larkin, Adam Dunn, and Jay Bruce. 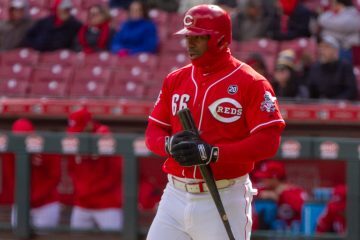 How Will the 2019 Reds Handle the Mid-Season Trade Deadline? Copyright RedlegNation.com. All Rights Reserved. RedlegNation.com is an independent news source and is not affiliated with the Cincinnati Reds, Major League Baseball, any of the Cincinnati Reds minor league affiliates or Minor League Baseball.